Savvy Spending: Free Cupcakes at Walmart today, from noon until 4 pm! 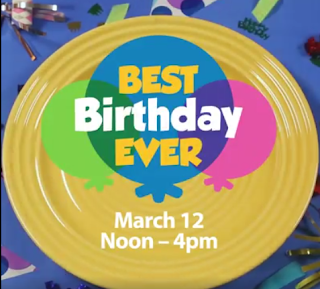 Free Cupcakes at Walmart today, from noon until 4 pm! If you're headed to Walmart today, 3/12, you can pick up a FREE birthday cupcake (limit 1 per person while supplies last) from noon until 4 pm. You can choose from vanilla or chocolate. Check out the Walmart Facebook page for more information.